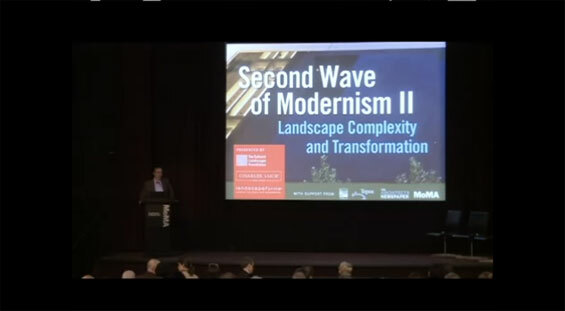 Back in November last year The Cultural Landscape Foundation held the Second Wave of Modernism II: Landscape Complexity and Transformation Conference at MoMA in New York. Various landscape architects and urbanists such as James Corner, Michael Van Valkenburgh, Raymond Jungles, Kathryn Gustafson, Gary Hilderbrand and many more gave lectures on Transformations of Residential and Metropolitan spaces. Now the videos of the lectures have been published with over 4 hours of interesting videos about the transforming the urban environments that we live, design, create and manage everyday. Each Video is approximately 20-25 minutes long so you can watch each one individually or cue the whole set. To investigate this significant evolution of professional practice, three groups of thematic presentations have been assembled that will collectively explore landscape transformations at residential, urban and metropolitan scales. The conference follows and continues dialogue initiated at the sold-out first conference convened in Chicago in 2008. The three groups of presentations included Residential Transformations, Urban Renewal Re-Evaluated, Metropolitan Transformations. An interesting set of speakers who give a background to themselves and their careers so if you ever wanted to know more about some of the great designers of the current age then this is a perfect opportunity to learn more. James Corner gives a interesting lecture about his influences and how his firm approached the design of FreshKills Park, NY and Qianhai, a new city in China. 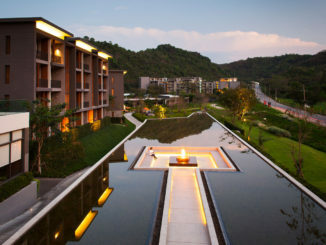 Michael Van Valkenburgh discusses the Jefferson National Expansion Memorial, Raymond Jungles talks about his design approach and the history of Raymond Jungles Inc. and its current direction. Charles LaGuardia discusses his work at Jaffee’s Perlbinder “Record House” and also the work of architect Norman Jaffee’s in the “Hamptons”. Kathryn Gustafson talks about her work at Centennial Park in Nashville and the way her firm is creating spaces. These are only a few of the designers who give presentations, there are many more who have presented great content about Landscape Complexity and Transformation.